Our journey at Daikin Chemical Europe began in Düsseldorf in 1992, with just two people. Today, we are over 350 people in five companies throughout Europe and responsible for close to 20% of Daikin Chemicals' turnover. Over the last 25 years, we have grown not only in size, but also in experience in our Technical Service, Sales and Marketing, and Customer Service teams. We are proud of the quality products we market, the value we bring to our partners, and the exceptional people at Daikin who make this possible. As the European headquarter of a truly global organization, our company brings together people with various backgrounds and nationalities. Our teams consist of German and Japanese, Spanish, French and Italian, Portuguese, Polish, Turkish, Chinese, Finnish and Czech colleagues. The main language in the office is English. Click to see the Daikin Philosophy. People are the driving force that propels a company's growth and its contribution to the advancement of society. 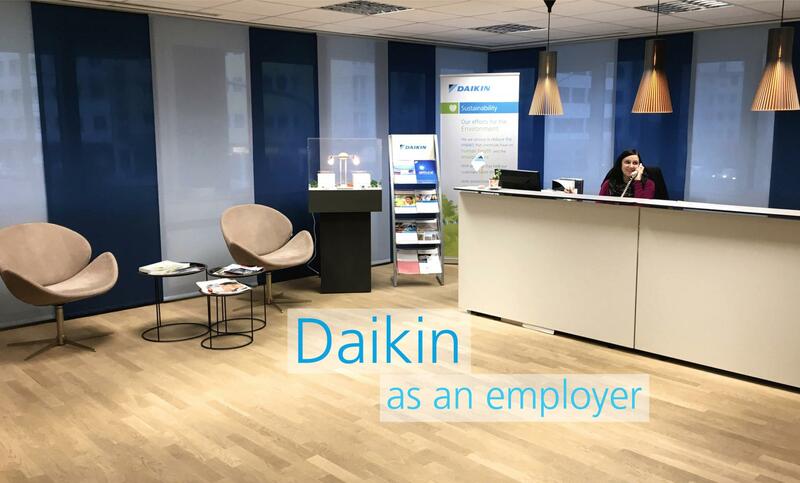 We believe that the growth of our employees is the foundation for the Daikin Group's development, and we put this belief into action by building a work environment in which our employees, regardless of their age, gender, or nationality can use their talents to the fullest in exciting and rewarding work. Click to learn more about People-Centered Management. We combine the friendly working atmosphere of a medium-sized company with the strength and opportunities of a global player. Are you as determined as we are to find solutions? Do you want to join a strong and growing company? We are always looking for talent in Chemical and Technical Engineering for our Sales and Business Development teams - no matter if you are experienced or have just graduated. Are you interested?